In the face of the new administration and the Republican Party’s push to increase support of fossil fuels, there remains significant movement toward a clean-energy future. Local efforts are now poised to drive the country to a 21st-century energy infrastructure, with or without the federal government. Joining California, New York and Hawaii with aggressive clean technology policies, Massachusetts is now considering one of the most transformative energy bills out there. In January, Massachusetts State Reps. Sean Garballey and Marjorie Decker and State Sen. Jamie Eldridge submitted the 100 Percent Renewable Energy Act. If passed, Massachusetts will become the first state in the nation with a mandate to achieve 100 percent renewable energy by the year 2050 -- for everything. That includes the energy consumed for electricity, heating and cooling, transportation, and agricultural and industrial uses. It hopes to source enough energy to meet the direct electricity needs of all residents, businesses and other agencies by 2035. The bill now has the support of 53 cosponsors in the House and Senate — more than a quarter of all members of the Massachusetts State Legislature. The nongovernmental organization Environment Massachusetts launched a campaign to promote a 100 percent renewable Massachusetts and supports the passage of this new legislation. Nationally, the umbrella organization Environment America and its partners are starting additional campaigns to energize efforts for more states to adopt 100 percent renewable energy policies. They also launched an initiative to persuade America’s colleges and universities to make similar commitments. Environment America is not alone in its efforts. The Solutions Project, Sierra Club and Renewables100 Policy Institute have also initiated campaigns to help educate the public and support our policymakers in implementing these goals. Grassroots efforts are no doubt key for promoting energy progress, but economic forces are now also propelling the adoption of clean technologies and are disrupting the fossil fuel industry. Improved technology, the massively declining costs of clean technologies, and the zero fuel costs associated with renewable energy are spurring businesses, cities and states to adopt 100 percent renewable energy initiatives. Corporate giants including Google, Goldman Sachs, Nike, General Motors and Walmart have already committed to power their companies with 100 percent renewable energy. And according a survey conducted by GreenBiz this month, the current administration’s policies will likely have no impact on the sustainability strategies of companies with revenue streams exceeding $1 billion. Cities led by both Democrats and Republicans are becoming 100 percent renewable cities -- not only out of concern for the climate and environment, but also because it makes economic sense. Hawaii was the first state in the nation to enact legislation for 100 percent renewable electricity by 2045. San Diego; Salt Lake City; St. Petersburg, Florida; Greensburg, Kansas; and Georgetown, Texas, are a few of the 23 American cities, both large and small, that have passed resolutions to adopt 100 percent clean power. Boon, North Carolina, was the first American city to pass a resolution to completely eliminate fossil fuels for all energy uses -- including electricity, heating and transportation -- by 2050. "Avoiding pollution of our air, water and land, reduce greenhouse gas emissions, and ultimately eliminate our use of fossil fuels and other polluting and dangerous forms of energy." "Increased energy security by reducing our reliance on imported sources of energy and maximizing renewable energy production." "Increased economic development by stimulating public and private investments in clean energy and energy efficiency projects." "The creation of local jobs by harnessing a skilled workforce, business leadership, and academic institutions to advance new technologies, improve the energy performance of homes and workplaces, and deploy renewable energy across the commonwealth." 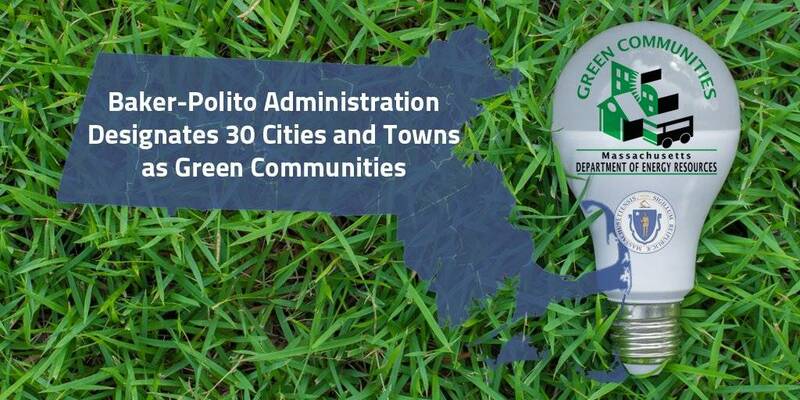 "Improve the quality of life and economic well-being of all Massachusetts residents, with an emphasis on communities and populations that have been disproportionately affected by pollution and high costs under our energy system." Embracing a renewable energy future is not split down party lines. We are moving in this direction even in places with little support for climate change policy. In fact, a bipartisan coalition of governors is urging the Donald Trump administration to support clean technologies and modernization of the country’s electric grid for economic reasons. “Despite tremendous progress on renewable energy in the past decade, we’ve got much more to do,” said Rob Sargent, program director of Environment America’s energy division. “That’s why we’re counting on our local and state governments, along with businesses, colleges and universities, and other institutions, to lead the way by setting their sights on 100 percent renewable energy." Leah Y Parks is currently an editor for ElectricityPolicy.com and Electricity Daily and is co-author of the book, “All-Electric America: A Climate Solution and the Hopeful Future.” She serves on City of Portland Mayor Ted Wheeler’s Environmental Policy Task Force and has written extensively about innovations in energy storage, smart grid technology, energy infrastructure, and renewable energy. Ms. Parks holds a Masters of Science degree from Stanford University in Civil and Environmental Engineering and a BA from the University of Wisconsin in International Relations.